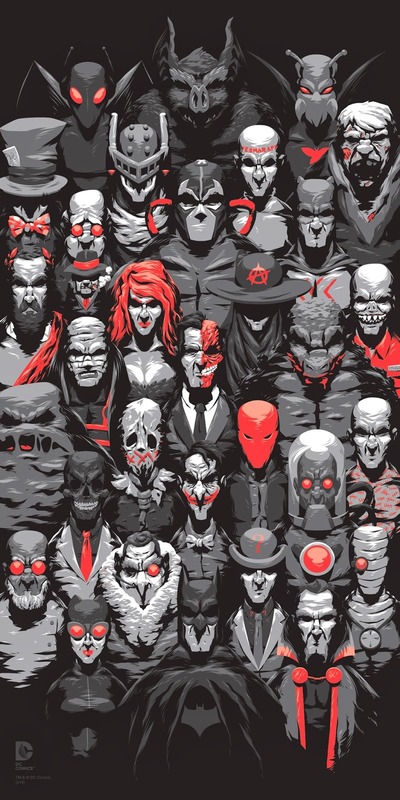 Criminals, robbers, thieves who could actually challenge Batman in trying to fathom and solve their crimes, rather than just leaving with him trying to work out which sicko killed THIS bunch of random innocents in ther pursuit of being EEEVILL!!! I'm not saying that these guys NEVER killed, but that they didn't revel in it all the time. A successful crimewave was not measured by bodycount but by how well they outsmarted Batman and Robin. And artistically they are a goldmine, every one of them offering a pretty unique opportunity for an artist. they are all identifiable pretty much instantly. Not EVERY plan is a winner... even when it DOES work. Ehhh. Call me young and foolish, but I can't really find much appeal in the Bronze Age Bat-rogues. They weren't all mass-murdering megabastards, no, but they weren't exactly champions of diversity, either. Most of them were still poured from the exact same mold, except that mold happened to be "gimmicky, deathtrap-happy greedheads, insert different costumes as needed". Even in the story posted here, Detective Comics #526, most of the villains' dialog is so interchangeable that you have to wonder if the story wouldn't have worked just as well with just at third of them. Geez, this sounded a lot harsher than I'd meant it to. I'm not going to say there's any age particularly better than Bronze (I freely admit that my beloved 90s had some of the dumbest choices in villains imaginable, and I think the state of the Bat-villains in modern comics is downright pitiful), but I don't think the ideal villain should be measured by how well they outsmarted the heroes (because let's face it - 90% of the time they're never going to win in the end). Rather, they ought to be measured by how interesting they are as people - perhaps even by how much we find ourselves rooting FOR them against the heroes when the final climax comes. For me that sometimes signals that the writer's failed at getting the heroes across as likable and their worldview as the one to be sympathized with (case in point, WWE recently). 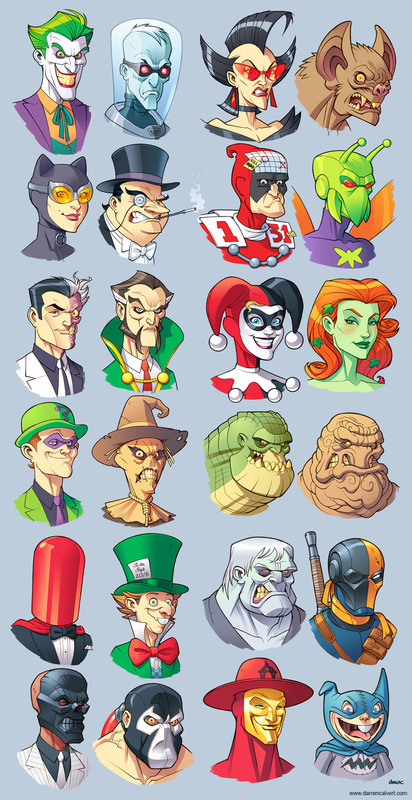 I've always loved the Batvillains from a design perspective. Because each and every single one of these people has their own unique design that gives you a good idea of what their deal is and give's them an identity other than just SUPERVILLAIN. It's almost makes me wish that the whole superhero thing hadn't quite taken off the way it did. So we'd have more genre-melding settings with such variation in designs like the Batverse.